Just found this article. I know it is very late, but we still must document all the news related to our Team especially one as important as this one of a kind accomplishment. To the haters and those that continue to question us about our team self proclaiming as the oldest, finest, most well-rounded, most innovative and/or considered pioneers in the import industry, here is further proof below of why we can and why we do. We have the accomplishments to back it up and our industry peers thinks so too. Lastly, the import industry agrees with us 100% and here is only one example to back it up. Scion Communications said, "Team Hybrid, led by James Lin and David Huang, emerged victorious for the second year in a row in the 2007 Scion Tuner Challenge, and proved again why the team is considered a pioneer of the import scene....Team Hybrid continues to build a legacy as one of the finest crews in the nation. " Team Hybrid, led by James Lin and David Huang, emerged victorious for the second year in a row in the 2007 Scion Tuner Challenge, and proved again why the team is considered a pioneer of the import scene. Team Koshak and Team Auto Concept Elite came in second and third, respectively. The 2007 Scion Tuner Challenge invited tuner teams to trick out the 2008 xD, with the winner announced at the Specialty Equipment Market Association Show in Las Vegas. 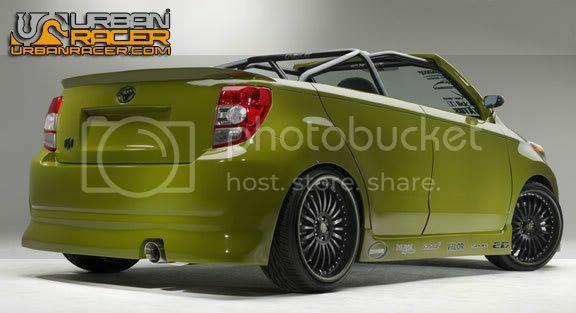 Scion picked three Southern California clubs and gave them each a 2008 xD, and $15,000 (they were not allowed to exceed this budget), to modify the car however they pleased. The challenge was judged by the National Custom Car Association (NCCA). Team Hybrid won last year with its slick xA. Team Hybrid has a great tradition in creativity, originality, and quality. With the guidance of Lin, the team founder and President, Team Hybrid continues to build a legacy as and one of the finest crews in the nation. Team Koshak was founded by people who are passionate about cars and car building. 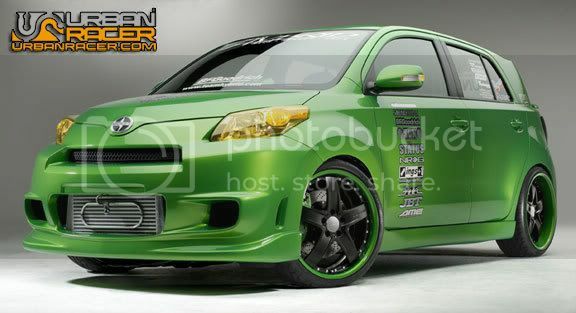 With the Scion Tuner challenge, Team Koshak brought car building to a point that raises the bar for others to follow. Originally called team Samurai Aftermarket Fabrication, the team changed its name to better reflect their well rounded aftermarket efforts, including street machines and trucks. Team Koshak is named after the team founder. Team Auto Concept Elite was established in August 2006 by a group of friends sharing the same passion for building cars and having a common goal to be the best of the best. Although new to the scene, the team has been featured in various media including magazines, the internet, and TV and movie spots. The team consists of a group of friends that treat each and every one of the members as family. For additional information regarding the contest, the winners, or Scion, please contact Scion Public Relations or Inform Ventures, LLC. For descriptions of the winning cars, please see below.